(1) Early Distributions. If you need to take money out of a traditional IRA before age 59-1/2, e.g., for education expenses for children, to help make a down payment on a new home, or to meet necessary living expenses if you retire early, any distribution to you will be fully taxable (unless nondeductible contributions were made, in which case part of each payout will be tax-free). In addition, distributions before age 59-1/2 may be subject to a 10% penalty tax. However, there are several ways that the penalty tax (but not the regular income tax) can be avoided, including a method that is tailor-made for individuals who retire early and need to draw cash from their traditional IRAs to supplement other income. (3) Required Distributions. Once you attain age 70-1/2, distributions from your traditional IRAs must begin. If you don’t withdraw the minimum amount each year, you may have to pay a 50% penalty tax on what should have been paid out, but wasn’t. (However, the required minimum distribution requirements are waived for retirement plans and IRAs for calendar year 2009.) In planning for these required distributions, your income needs must be weighed against the desirable goal of keeping the tax shelter of the IRA going for as long as possible for both yourself and your beneficiaries. (4) Tax-free distributions donated to charity. If you are at least age 70-1/2, and are considering making a charitable gift, you may want to consider transferring a portion of your IRA to charity. Through 2009, you can exclude from gross income up to $100,000 a year of otherwise taxable IRA distributions that are paid directly to qualifying charitable organizations. 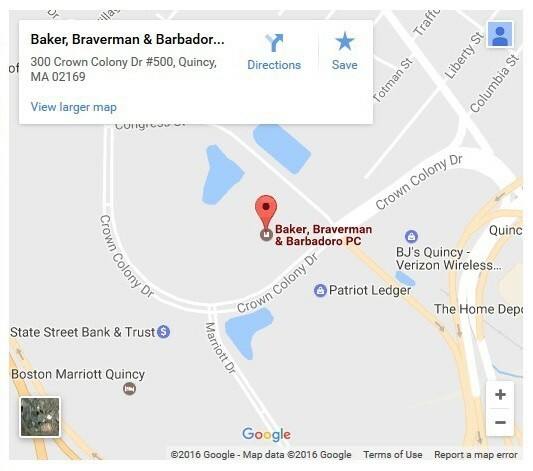 At Baker, Braverman & Barbadoro we believe that advanced planning is the key to achieving your goals and minimizing your income and estate tax liability. Our attorneys can review your beneficiary designations to ensure that your wishes are carried out while at the same time avoiding common mistakes that would lead to unnecessary taxes for your beneficiaries.